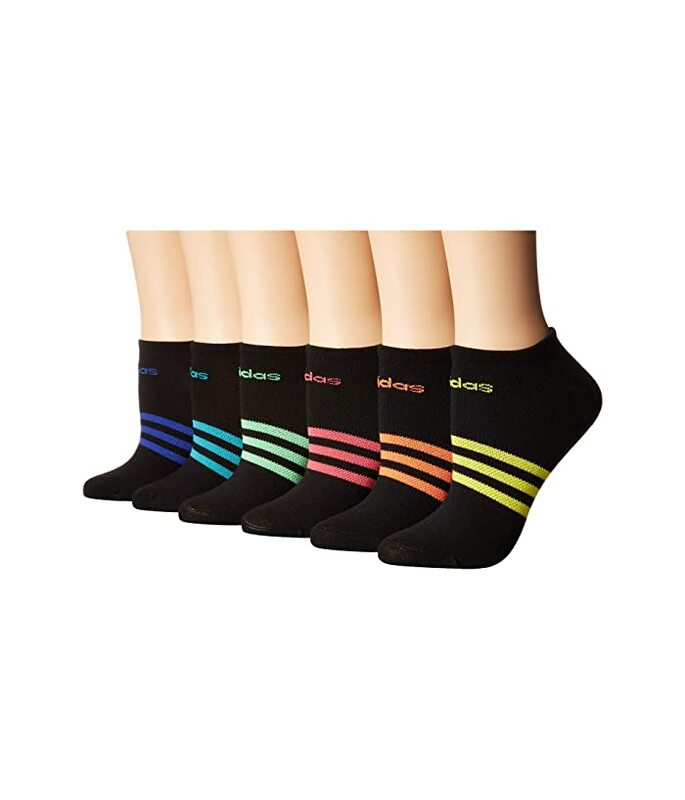 Tap your toes with some color of the adidas® Superlite 6-Pack No Show! Sold as a six-pair pack of assorted colors. Climalite® technology wicks moisture away from the skin.